Divisions for under 16’s, opens, and masters (40+). 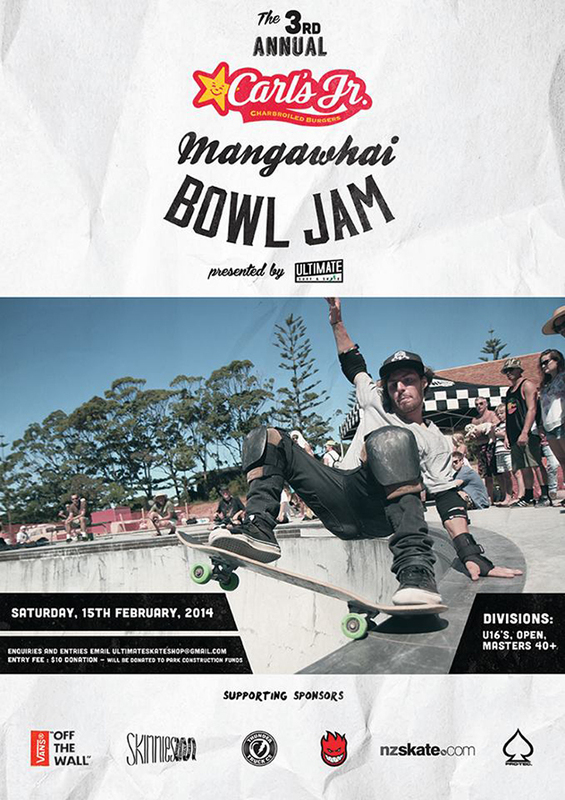 For enquires or to enter go to Ultimate Surf & Skate Facebook page. This entry was posted on Tuesday, February 11th, 2014 at 3:22 am. It is filed under Events, Skate Park. You can follow any responses to this entry through the RSS 2.0 feed.